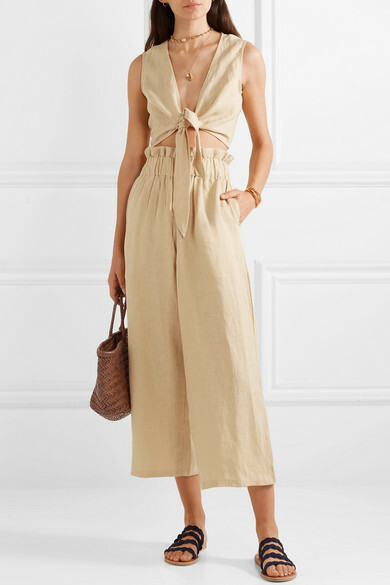 Faithfull The Brand's 'Marcie' top is the perfect versatile piece for traveling - knot it over a bikini poolside, or wear it on its own to lunch. 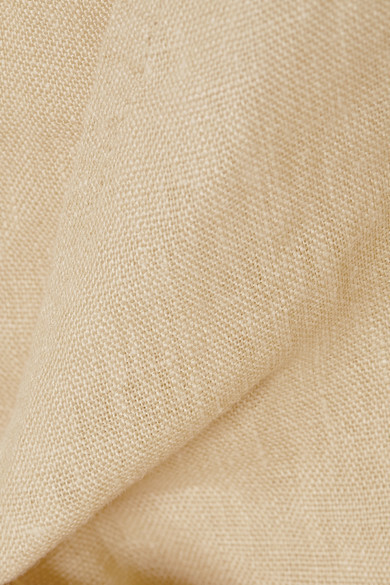 This cropped style is made from airy linen in a soft sand hue that really accentuates sun-kissed skin. Style it as Lucy Williams would, with the matching 'Varadero' pants. Shown here with: Dragon Diffusion Tote, Ancient Greek Sandals Sandals, Sophie Buhai Cuff, Loren Stewart Ring, Tohum Ring, Tohum Necklace, Maria Black Earrings.